The Financial Rights Legal Centre is a community legal centre specialising in financial services, particularly in the areas of consumer credit, banking, debt recovery and insurance. It is the only such Centre in NSW, and one of the only centres in Australia that fully integrates telephone assistance and financial counselling with legal advice and representation. The Financial Rights Legal Centre also operates the Insurance Law Service, a national specialist consumer insurance advice service. Insolvency News Online chronicles the travails of the insolvency and restructuring professions Australia wide, highlighting the triumphs and failures of registered practitioners and the accounting and legal professionals who work with them. 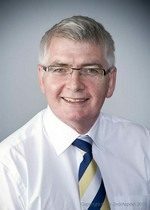 With over 40 years’ combined experience as a barrister and solicitor, Jim brings a wealth of knowledge and experience to the resolution of his clients’ disputes. 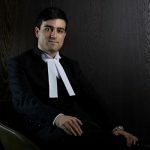 While his core areas of practice are insolvency and bankruptcy, Jim has also acquired considerable experience in administrative law, building and construction, commercial and corporations law, equity and real property, succession and family provision matters. Professor Symes’ main academic interest is insolvency law. In this area, he has written textbooks and numerous articles for both an academic and practitioner readership. Christopher’s book Australian Insolvency Law, co-written with John Duns, is now in its third edition and, in 2015, a companion Casebook (with Brown and Wellard). He is also a co-author of Corporations Law In Principle and Business and Corporations Law (now in its second edition). A range of hard copy and online publications on insolvency and related areas. Adele Ferguson is a multi-award winning senior business writer and columnist for leading Fairfax newspapers, The Age, The Sydney Morning Herald and the Australian Financial Review. She is a regular guest reporter on ABC’s Four Corners and ABC 7:30. She is the author of the best selling unauthorised biography on Gina Rinehart, the richest woman in Australia. With more than 20 years in journalism, Adele carries a reputation as one of Australia’s most awarded journalists. 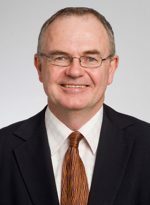 Associate Professor David Morrison’s primary academic interests are in revenue law, corporate and insolvency law and economic analysis. The Law Society of New South Wales is the professional association for solicitors in NSW, proudly representing more than 29,000 members across NSW. 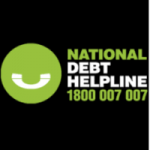 We provide free telephone legal advice and financial counselling to NSW consumers on credit, debt and banking matters. However we cannot provide advice to businesses. Our Centre consists of a team of solicitors and financial counsellors. When you call we will usually only give you legal and financial advice on what YOU CAN DO to resolve your credit, debt or banking situation. 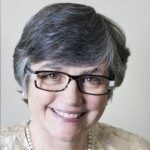 Professor Rosalind Mason is Professor of Insolvency & Restructuring Law and a member of the Faculty of Law’s Commercial and Property Law Research Centre. 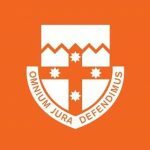 Rosalind holds Bachelors’ degrees and a Doctoral degree from the University of Queensland (UQ) and a Masters degree in law from the University of Sydney. In 2003, the University of Queensland awarded her a Dean’s Commendation for Outstanding Research Higher Degree Thesis for her doctoral dissertation on ‘Insolvency and Private International Law: Principal Interests in the Resolution of Multistate Insolvency Issues’. Secured Transactions (Personal Property Security Law), Insolvency Law, Corporate Law, Land Law, Equity (including Charities), Legal Education, Corporate Governance, Commercial Law. 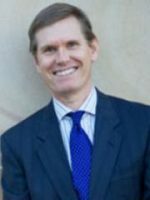 Michael has 30 years experience in Australia as an insolvency and reconstruction lawyer, writer and commentator. 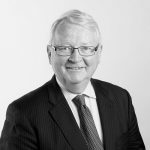 He is an observer of current corporate collapses and bankruptcies, and trends, and is closely involved in law reform, government and professional regulation, both in Australia and internationally. Nicholas appears in State and Federal Courts across Australia in a range of corporate, commercial and equity matters. He has particular interest and expertise in all aspects of corporate insolvency and personal property securities law. Jason Harris teaches and researches in the areas of Corporate Law, Securities Law, Secured Transactions and Corporate Insolvency Law. Jason has previously taught at UNSW, the ANU and worked as a junior lawyer for the Australian Government Solicitor. 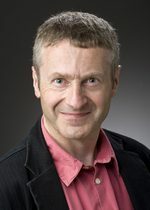 Jason has served as a visiting scholar at the University of Western Ontario in Canada, the University of Leeds in England and as an adjunct professor for Widener University (Delaware, USA). Jason was the Insol International Scholar for the Asia Pacific Rim for 2010-2011. 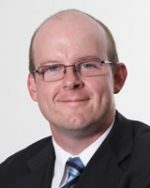 Jason is the leader of the Faculty’s Corporate, Commercial and Tax research network. The Financial Counsellors’ Association of NSW Inc (FCAN) is the peak membership body that represents and supports Financial Counsellors in NSW.